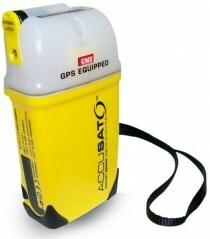 Personal Locator Beacons (PLBs) can be used during an emergency situation (typically in in remote areas) to summon emergency assistance via a radio signal that is picked up by satellites and commercial aircraft. However, the Australian Maritime Safety Authority (AMSA) has reported that many people in Australia are misusing these devices. 248,000 PLBs are registered in Australia. During 2012, 1,700 PLBs have been triggered nationally, with 266 searches resulting, but only 109 events were genuine emergencies. Some beacons are being triggered in capital cities and urban areas. There have been 400 inadvertant activations and 21 confirmed hoaxes. Accidental, frivolous or hoax activation of PLBs puts significant inappropriate demand on national and state emergency services and wastes money. PLB users are reminded that distress beacons should only be used as a last resort when there is a threat of grave and imminent danger. In an emergency, communication should first be attempted using radios, phones, SPOT devices and other communications devices available. In addition, older PLB devices must be disposed of properly.